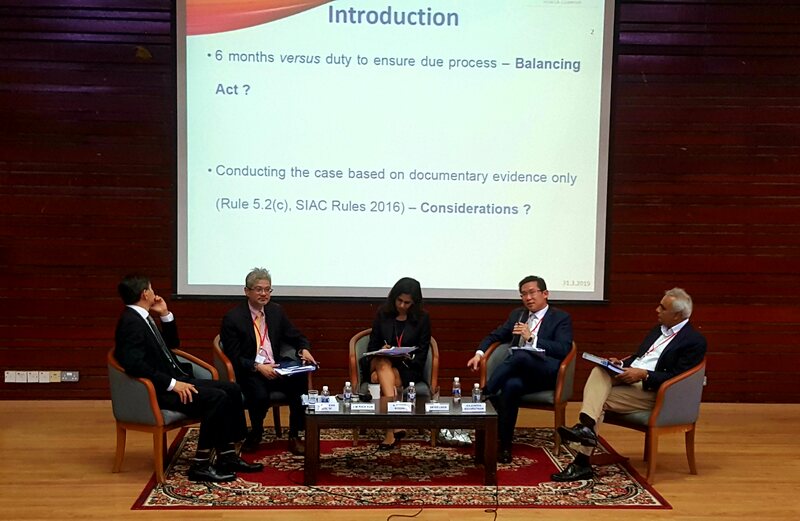 At the recent Singapore International Arbitration Centre (SIAC) Academy hosted at University of Malaya on 30-31 March 2019, Mr Lam Ko Luen, our Head of International & Domestic Arbitration department was invited to speak in a session on Expedited Procedure (EP) under SIAC Rules 2016. The session was moderated by Ms. K. Shanti Mogan and the other panelists were Mr. Chan Leng Sun SC, Mr. Lim Tuck Sun and Mr. Rajendra Navaratnam. Mr. Lam gave a presentation on how an arbitral tribunal could strike a balance between managing arbitration in accordance with EP within a 6 months’ timeline, and the tribunal’s duty to ensure due process. Mr. Lam also discussed the considerations an arbitrator should have regard to in deciding whether a case should be decided on a documents-only basis.